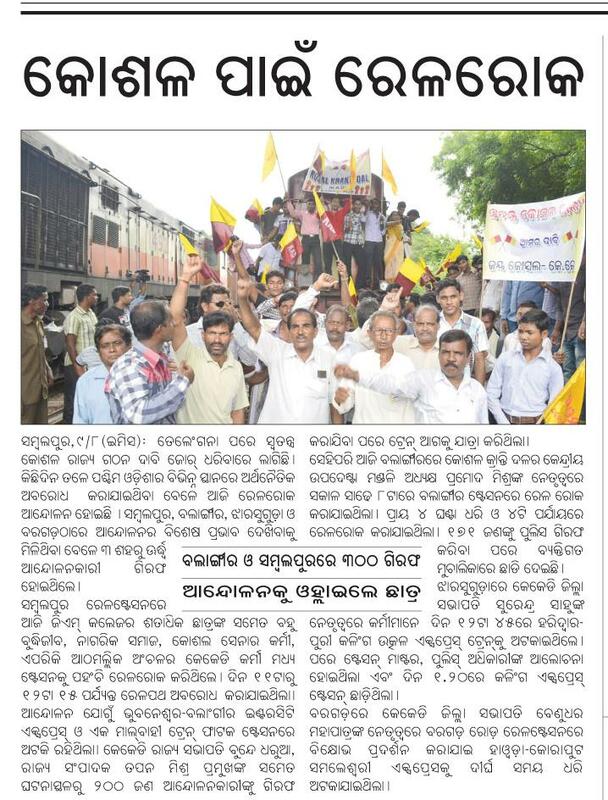 Demanding a separate Koshal state comprising western Odisha districts, activists under the banner of Koshal Kranti Dal (KKD) today staged a rail roko agitation here. “We have already requested the state and Union government to take immediate steps for formation of Koshal state,” KKD president Upendra Mohapatra said. “The rail roko agitation was successful and people from all walks of life spontaneously participated in it,” said KKD president. Entry filed under: Demand by political parties, Demand by politicians, Demand by Students Union, Demand of Koshal state.